The term millennials is normally used to refer to those aged between 18 and 35. Also called Gen Y, this group of people are bound to bring about various changes to the general working environment. Their expectations with regards to their jobs are also usually different from that of previous generations. When interviewed, many of them cite transparency, openness, adaptability and communication as their ideal values. Women in particular lean a lot towards diversity and flexibility. This article will address some factors that can increase the chances of keeping a Gen Y employee on the long term. Millennials were born at the same time or after the rise of the internet. They are more at ease with technology than any generation before them. As such, it is beneficial for both the employees and the company to make full use of this aspect. Tech savvy millennials are more likely to stay in a firm which is constantly innovating its facilities and services. The company will also benefit from these enhancements by keeping up with technological advancements. Gen Y employees learned to work in teams since they were young. Modifying the company’s current system to include teamwork is important to keep millennials in a firm. By doing this, the enterprise will be able to make the most out of each employee’s expertise. Promoting teamwork also adds depth to the company’s values and motivates young workers. Most millennials look for an inspiring leader rather than someone who gives orders. They value their freedom and like to communicate their thoughts with betterment in mind. As such, companies should get rid of any stifling atmosphere if they want to keep their Gen Y employees. Creating a friendly and enjoyable workplace environment will make millennials want to stay in a company. Firms that accept individual differences to include diversity are also very popular. A lot of Gen Y workers do not equate their efficiency to the number of hours they spend in an office. This is because they are more focused on end results than on specific structures and processes. They work at their own pace, all while being extremely productive. 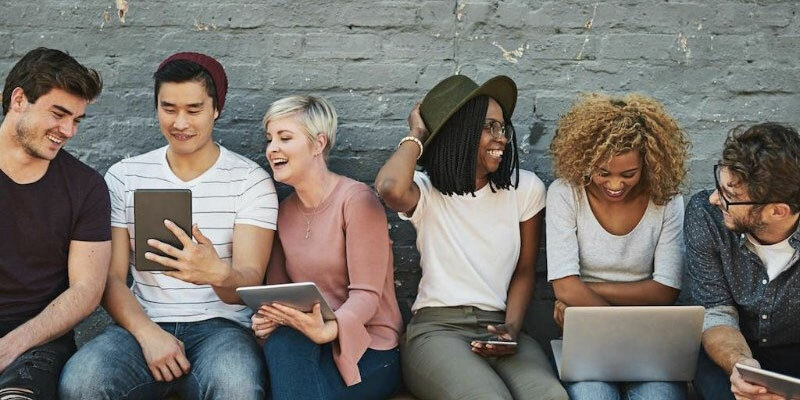 Companies who want to maintain their relationship with millennials should therefore put less emphasis on schedules and dress codes. They should instead allow telecommuting or working remotely. This flexibility is sure to attract a lot of Gen Y employees and make them stay. Millennials do not like to stagnate in one job for a long period of time. They enjoy challenges and they like to try new things. It is crucial for companies to diversify their teams and clients to offer more opportunities to their Gen Y employees. This will encourage millennials to grow within their enterprise rather than move to another firm. As mentioned above, Gen Y employees do not work in the same way as previous generations. Their values and expectations with regards to their jobs differ from their predecessors. To keep millennials with our companies, it is therefore crucial to positively adapt to these changes.